Another Opinion with Paul Hosse': Does the United States have the Right to Secure its Border? Does the United States have the Right to Secure its Border? I'm intrigued by the fact that the presidents of several South American countries have publicly stated that the United States does not have the "right" to prevent migrants, illegal or otherwise, from entering our country at will. They've gone as far as to say that America may not secure its southern borders at any time or for any reason. Now why is that I wonder? The US is a sovereign nation like every other country. We have not just the legal right to secure our borders, wherever they may happen to be, but even a moral reason in order to protect the rights and safety of our citizens and to uphold our laws. These same countries who believe that the US doesn't have a "right" to secure its borders happen to have among the strictest immigration policies of practically any country anywhere, and how they go about both protecting their national sovereignty and punishing those who violate their immigration laws are downright barbaric. I'm talking about countries such as Mexico, El Salvador, Nicaragua, Costa Rica, Venezuela, and Honduras among others. These are places where illegal immigrates are often robbed, raped, beaten and in some cases, tortured...and that's by the police! Anyone who aids them in any way is subject to arrest and imprisonment for the first offense. In some cases, local police or government law enforcement will ransack their homes and, well, things happen to go missing. In a few cases some individuals are able to bribe their way out of arrest or jail time, but it's always a high price. Prison in these places are best described as "hell holes" almost in the literal sense. Individuals typically get one very badly and often infested mattress on concrete floor. Their tiny cells are usually either freezing in the winter or unbearably hot in the summer; it's not uncommon that they are open to the elements. Food (if you call it that) is bare minimum. Often not much more than watery soup, stale bread or crackers twice a day. If prisoners want anything more, it's up to their friends or families to provide it. If you're there illegally, that's rather hard to do. Even if you're a citizen, it can be difficult to make sure you actually receive additional blankets, clothing, food, or even proper medical care. Jail time for illegal immigrants can range from a few months for a first offense to several years for secondary offenses. Same goes for anyone who help you. Is there any wonder some of these individuals, especially criminal gang members, laugh at our prisons? Is it any wonder these people see our border security as a mere inconvenience? Nevertheless, we're told that we don't have a "right" to impose our immigration laws on those attempting to come here; immigration laws that every single country in the world has and legally applies. So, why is it that America isn't suppose to have this same right? Some like to argue that the original settlers were no different than "illegal immigrants" or that they stole land from the Native Americans. What do you think? Were the first settlers simple land grabbing interlopers or was there something more to it? Of course we know that when many of the native immigrants arrived in the Americas, there were already other groups who had come here earlier. Also, while Native Americans really didn't have any concept of land ownership per se, they did establish certain areas in which they hunted and grew food. Anyone who impeded on that land faced attack. In fact, it wasn't uncommon for Native Americans throughout the Americas to fight over good crop and hunting land. So, when the first Europeans arrived, there was no usurping of land since there was no ownership of the land. The construct of "ownership" was essentially a European one. As more and more Europeans arrived, they occupied lands held by Native Americans, often at the point of a gun, but also just as often, by trade. But how was this different from how the Native Americans interacted with each other over the use of land? It wasn't until the US was firmly established, and legal agreements with Native Americans came into being that the notion of "stealing" land came into being. Why? Because both the Native American tribes came to recognize the European concept of legal ownership or possession. It was here that the real problems developed; where the federal government would enter into a signed agreement with the Native Americans, only to ignore the terms and push the Native Americans off of the lands they had agreed to. More often than not, this was done for mining--particularly gold and silver. Whenever the Native Americans complained or fought back to protect what was legally theirs under the terms of the treaty or agreement, the interlopers would convince the local "Indian Agent" or other federal authority to send in the military, which they routinely did. The result became nothing less than a intentional genocide of a proud people; a national tragedy which remains uncorrected to this day. However, for the sake of our discussion, it addresses the notion the Europeans settlers were in some way "illegal immigrants", which they clearly were not. In terms of immigration laws, every country on this planet has some form of restrictions and quotas. The United States is not unique in that regard. Anyone wanting to enter this country may, assuming they meet some specific requirements such as age, health, and employability. Once approved, they can then apply for a "Green Card" which would allow them to live and work here (most individuals need a sponsor, a family member or employer). Others can apply for temporary residence under special circumstances such as seeking asylum or as a refugee, provided they meet a very narrow definition of a "asylee" or "refugee". Application for any of these procedures can be obtained at any US Embassy or Consulates office in the world (there are typically multiple offices scattered through a given country, but at least one in the capital or main city)and where US officials can help you through the process. So, I bet you're wondering what constitutes an "asylee" or a "refugee"? Well, someone seeking asylum is called a "asylee". These are individuals who are unable or unwilling to return to their native country out of fear of persecution due to their race, religion, ethnic group, social group, political status, or more recently, their sexual preference according to the US Department of Homeland Security. As a rule, this would Yazidis, Buddhists, or Assyrian Christians fleeing Syria due to persecution by Muslim extremists like ISIS/ISIL or the Syrian military. Recently, white South Africans, many of whom have roots dating back to the 1600's, have been forced from their lands, attacked, beaten, robbed, raped, and murdered by black members of the pro-Communist ANC. Unfortunately, however, the US has been slow in accepting applications for asylum from these white South Africans although some other countries, such as Russia, have. Also, as an aside, the US has also not been particularly pro-active in allowing groups like Kurds, Yazidis, Christians, Hindus, or Buddhists from the Middle East asylum status as well. A refugee is typically someone who has been forced to flee their country due to war, violence, or some environmental disaster such as famine. A refugee may start off as a asylee and ultimately be accepted as a refugee once a decision is made regarding their status and reason for leaving. As a rule, international law requires both types to leave the country where they are endangered and seek entry in the next closest country where there is no danger. There is a third class of individual, which I think we need to pay close attention to since this directly pertains to the current situation on our southern border and to the approximately 8 million illegal immigrants living in the US right now, and that's the "Economic Migrant". These are individuals who are not endangered by their race, religion, political class, or any of the other factors previously mentioned. These are individuals who are simply looking for employment or a better job; they willingly chose to relocate rather than are forced to leave. As such, they are entitled to no protection under international law. This describes those who are currently "demanding" entry into the country right down along our southern border. It also describes the vast majority of the illegal immigrants present in America. Economic migrants often try to claim "refugee" or "asylee" status as a way to gain entry into a particular country which otherwise would be closed to them. We should also bear in mind that their presence represents a "jump in the line" ahead of those who are trying to enter the US and/or become American citizens legally. In short, they are shoving law abiding potential immigrants aside; those who are trying to enter the country the right way. In addition, 85% of all illegal immigrants receive taxpayers assistance of some sort. That means that ordinary Americans are having to pay their way because they broke the law. Many of those are do work are paid cash and thus pay no taxes. Others find ways to use stolen social security numbers and draw on them. Meanwhile, churches and other religious organizations continue to aid immigrants, pretending that somehow the laws just don't apply to them while hiding behind their tax-exempt status. Why is that? Here's a couple of interesting statistics for you. According to the Department of Justice, 26% of all federal inmates are illegal immigrants (the Center for Immigration Studies put that number at 32%). The Bureau of Prisons report that 66% of all inmates are illegal aliens, which means that one in five prisoners are in this country illegally. The majority are serving time for various drug offenses, followed by violent assault, robbery (including theft, burglary and armed), and homicide. 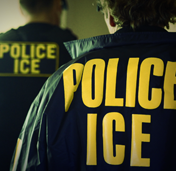 So-called "sanctuary cities" have provided many illegal immigrants, especially those active in criminal gangs, with a safe haven akin to the "Hole-in-the Wall" and "Robber's Roost" of the Old West or the "safe cities" like Chicago, New York, or Miami during the glory days of organized crime in the 1920's and 1930's. Lastly we come to another type of "immigrant" key to this discussion, the "Anchor Baby". So, just what is a "anchor baby"? Under current US immigration laws, if a non-citizen woman gives birth in the United States, her child automatically becomes a US Citizen. Thus, by extension, she gets to remain in the country along with her husband and family (that definition has been broadened to include grandparents, aunts and uncles, and in some cases, even cousins have been approved). As an aside, in Canada, this is often referred to as "Passport Baby" and has resulted in a cottage "Baby Tourism" industry worth millions (in the case of Canada, it's allegedly popular with wealthy Asians). How did this come about? The Citizenship Clause under Section One of the Fourteenth Amendment states that "All persons born or naturalized in the United States, and subject to the jurisdiction thereof, are citizens of the United States and of the State wherein they reside" was adopted on July 9, 1868, just three years following the end of the Civil War. It's intent was to ensure that all freed slaves were given the same rights as any other citizen of the United States. Thus, its intent was reinforce the Civil Rights Act of 1866 and clarify that all former slaves were citizens, subject to all the rights, privileges, and laws accorded to the ordinary US citizen. It was not envisioned as a means by which individuals could bypass immigration laws. Nevertheless, according to the Pew Hispanic Center, 73% of all children of illegal immigrants qualified under this provision. So what does all this mean? Basically, it means that the US does have a duty and obligation to secure and protect its borders as a sovereign nation; the same right afforded to every other nation without exception. It means that the majority of illegal immigrants now in this country, and the thousands on our southern border "demanding" to be allowed to enter do not qualify under the definitions of "asylee" or refugee", but rather are economic migrants, which entitles them to nothing under international law. It also means that those who protect illegal immigrants do so as the costs of those who are attempting to do the right thing; to follow the law. 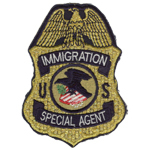 It also means those who aid these individuals are defacto criminals as well ("aiding and abetting") while at the same time demonstrates that over 1/4 of prison population is comprised of those who in prison not because of their violation of US immigration law, but because of crimes they willingly committed. All of this totals billions of dollars---approximately $113 billion dollars at the federal, state, and local levels--- imposed upon the average American Taxpayer; money that could be used to improve roads, schools, infrastructure, medical research, and so forth. The only real question remaining to be answered is just how long are we going to allow this? Some cite that "No Human is Illegal" but fail to mention that their actions are. That's why we have laws and a legal system to enforce those laws. Continuing to grant amnesty simple encourages more to come illegally in the hopes that they can wait out the next call for amnesty. Meanwhile, taxpayers are continue to get crushed by mounting increase to cover not just the influx, but for medical claims, education (including tutors), subsidized public housing, food, and utility bills. Perhaps the worst part, at least from my perspective, is that the majority of these individuals have no interest in becoming citizens, nor do they have any intention of assimilating as other immigrants have done in the past, thus creating a "melting pot". In fact, they seem to want everyone to adapt. Ultimately, this will result in a nation not of mixed cultures, but of mini-nations similar to other nations which have fractured and broken apart as the result of various conflicts, be it ethnic, racial, religious, or whatever. I have to wonder if that's our destiny. It would certainly appear that if we continue along these lines, it most definitely will be.